When I heard the Ordway was producing their own production of "In the Heights" I was pretty excited. It was a musical I knew maybe a song or two but that was pretty much it. I knew it was written by Lin-Manuel Miranda (who wrote Hamilton, but I hope you already knew that) and it was rooted in Hispanic stylized music. Other than that, I really didn't know too much about it so I was thrilled to be able to attend. Even after seeing the show, I still can't quite describe what it was about. Was it a love story? Yes, there was a bit of love. Was it a story about struggling artists? Yeah, it was. Was it simply just about the lives of a group of relatable people who live in Washington Heights? Yes, that's exactly what it was and that is ok. For someone who sees a lot of theatre, sometimes a big huge overcomplicated plot with a hero, villain and a typical story of a boy getting a girl to fall in love with him gets very overdone and very boring...very quickly. That is why I felt very drawn to these characters. They were relatable. Each had their struggle that many of us feel day to day. Whether you're someone struggling in college, trying to find money to pay rent, or just living life and don't know how to overcome typical struggles, everyone can relate to at least one character. The show opens with the title song "In the Heights" and we are introduced to the entire company. Usnavi, played by Justin Gregory Lopez, narrates the show. He owns a small bodega that many of the characters visit daily which how is how we are introduced to the close-knit neighborhood within the almost 7 and a half minute long song. As the lights turn on and the sun rises on the day we see the full lit set, designed by Anna Louizos. It is extremely charming and has a homey feel to it, almost like Sesame Street. Also, I would have loved to have walked up on set just to admire the sheer amount of detail from Usnavi's bodega to Daniela and Carla's salon. Speaking of Daniela (played by Lauren Villegas) and Carla (played by Emily Madigan), easily my favorite element of the production. Daniela and Carla work in the salon that Vanessa (played by Val Nuccio) also works in. These two ladies were one of the best dynamic duo's I've seen in a while. Talk about comedic timing because these two ladies had the audience eating out of the palm of their hands the entire night. Their song "No Me Diga," involves the girls talking about how they know pretty much everything that happens in the neighborhood, was my absolute favorite in the entire show. The voices were unique with each soloist having their own strength. Abuela Claudia (played by Debra Cardona) had a passion in her voice that was like none other. Vanessa had an unbelievable amount of power behind it. Nina often held long gentle notes for multiple measures. While sustaining these note (hello breath support!) her voice was so pure. While soloists were pretty impressive, I felt some acting was a little static. I appreciated Nina's version of "Breath" due to the high notes she hit, however, I felt it could have gone further. The sheer emotion in that song could have been heightened even more than what she was giving the audience. That is really my only critique. One of my favorite things, next to "No Me Diga," (yes I loved it that much! ), was the choreography. After seeing the Ordway's production of West Side Story, I knew we were in for a treat with In the Heights. Choreographer James A. Rocco is completely in his element and knows exactly what he is doing in the group numbers. Each group number was beautifully constructed and superbly executed by the performers. I had so much fun just watching them, I can't imagine how fun it is dancing it. 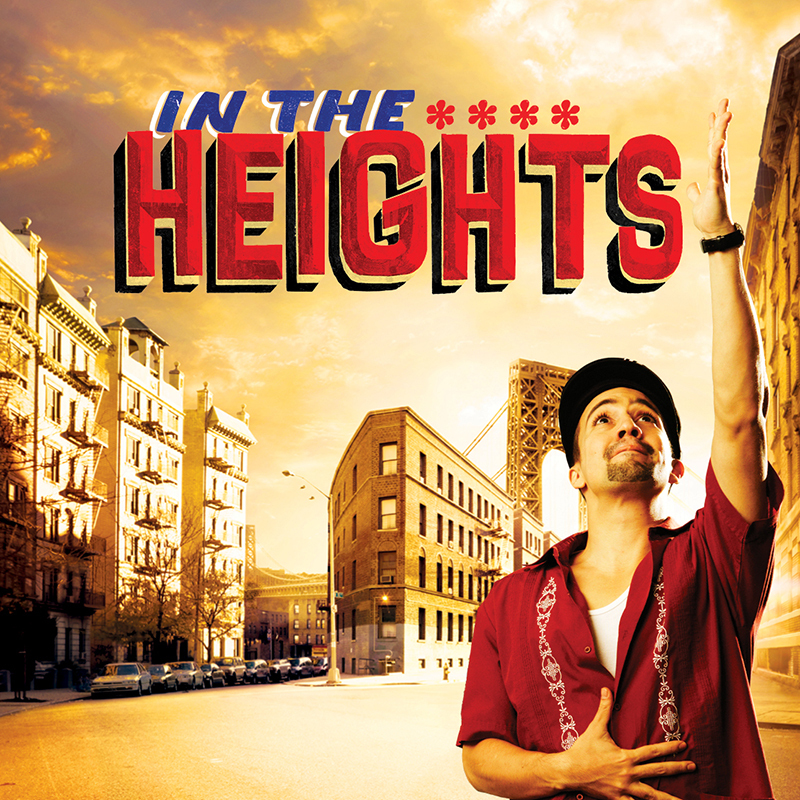 In the Heights is the must-see season opener across the entire Twin Cities. The music will have you dancing in your seat and the dancing will make you want to get up and join the performers on stage. It is a stellar production about family, friends, never giving up and never being afraid. In the Heights has a limited run through Sept. 24. Tickets can be bought here. *All photos provided by the Ordway and are by Rich Ryan.